The National Gallery of Victoria is yet another architectural landmark and heritage building in Melbourne, Victoria. The art museum in Melbourne is popularly know as the NGV was founded in 1861 and is the oldest public art museum in Australia. 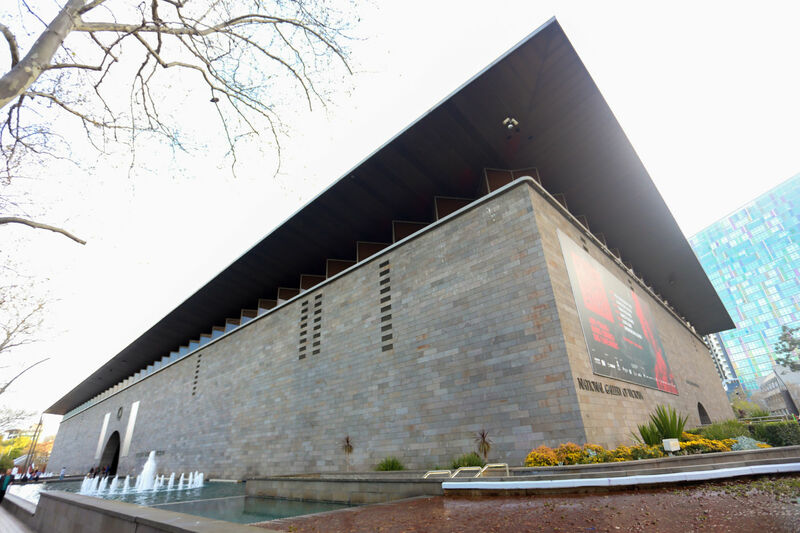 The iconic art museum operates in two locations in Melbourne – The NGV International, located on the St Kilda Road in the heart of the Melbourne Arts Precinct of Southbank and the Ian potter centre located close to the Fed Square. A view of the national gallery of victoria melbourne from outside. The National Gallery of Victoria was designed by Sir Roy Grounds and opened in 1968, further renovated and reopened in 2003. The gigantic architectural marvel is located very close to yet another iconic attraction of Melbourne – the Melbourne Art Centre. The NGV is located along the St Kilda road that is beautifully lit up during the night time and looks stunning! If you are in Melbourne and have some time to take a walk around, don’t miss out visiting the NGV.